At Elm Tree Farm, we offer a range of opportunities for people with learning disabilities and autism to access employment support, vocational training, and maintain health and wellbeing in a safe and encouraging environment. As a working smallholding, care farm and social enterprise, we’re able to include the people who access our services in the everyday running of the farm and its projects. This means that individuals are able to make a real contribution, be part of a team, and gain experience in a genuine working environment. 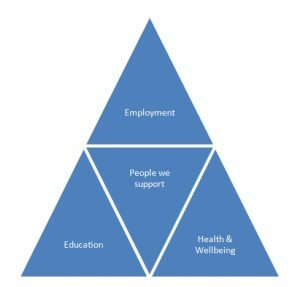 The variety of active support opportunities also allows us to provide a person-centred service to each individual, choosing projects and activities to meet their needs and interests. We like to give individuals the opportunity to get to know us and vice versa, so we offer a free four-week trial period during which we can establish their needs. We work closely with families, social workers, and the individuals themselves, to identify the projects and aspects of the farm where we feel they would thrive, and assess what support is needed. 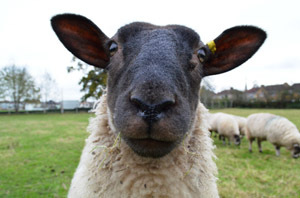 Find out more about the projects based at the Farm. We provide work and training opportunities for people with learning disabilities and autism, Monday to Friday, 8.30am-3.30pm. If you’re interested in a traineeship at the Farm, please complete the Elm Tree Farm referral form (PDF, 145KB) and email to keily.elvin@brandontrust.org or post to the Farm. You can also download the Elm Tree Farm leaflet (PDF, 960KB) for more information. Please note: The leaflet is designed for printing and folding into an A5 booklet. Find out more about services for young people and children. We offer educational programmes and aim to begin delivering nationally recognised City and Guilds qualifications in horticulture, woodwork and animal care within the next year. We offer an in-house work training programme designed to provide the people we support with the transferable skills required in any job, such as timekeeping, listening, following instructions, health and safety, and rights and responsibilities. The people we support are able to put their numeracy and customer service skills into practice in a real-life situation on our market stall, providing them with valuable work experience. For people who would like to move on to employment in a supported role, Grounds and Gardens, who are also based at the farm site, offer paid work opportunities with continuing support by trained health and social care staff. We also work with individuals to help them find employment elsewhere and support them through the transition process. The farm is a safe, therapeutic environment where individuals have the choice and the chance to make a positive contribution and improve their quality of life. We encourage people to share their ideas, develop independence and self-esteem as well as increasing understanding and confidence in their own skills, strengths, and weaknesses. Many people build positive relationships, improve social skills, and decrease their social isolation by coming to the farm. 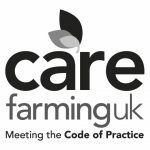 We are accredited by THRIVE Quality Assurance Scheme which enables us to deliver horticultural therapy, and CEVAS Countryside Educational Visits Accreditation Scheme) accreditation in Therapeutic Care Farming.